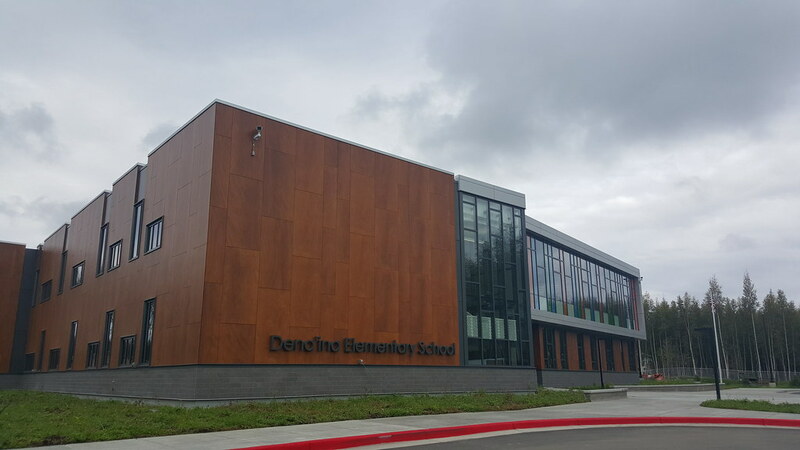 PDC provided the fire protection, mechanical, and electrical engineering as well as sustainability and commissioning services for this $17.5M, 45,000-sf new elementary school. 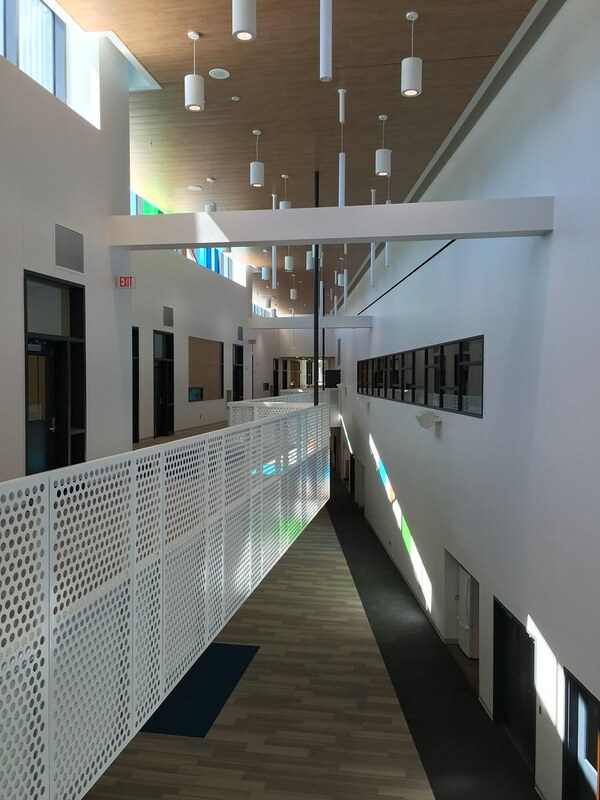 This innovative school design used cutting edge technology and engineering design solutions that focused on reducing long term operational costs through energy efficiency, reduced equipment, and the use of robust yet simple design philosophies. The design started with an energy charrette with MSBSD staff to discuss the pros and cons of multiple mechanical and electrical systems and their impact on long term operational costs. The selected MEP system focused on providing an exemplary learning environment, including enhanced indoor air quality through displacement ventilation systems coupled with distributed CO2 sensors in each classroom. The use of displacement ventilation also provides a documented reduction in student sick days. The ventilation system has 100% heat recovery and anticipates to be operating at 100% outside air for a significant amount of the school year. The heating plant consists of two fully modulating condensing boilers with three main distribution pumps with VFD’s for maximum turn-down capability. Overall, the team is able to reduce the amount of maintained pieces of equipment by 30% and ventilation based power usage by over 50% compared to other recent MSBSD schools. LED lights are being provided throughout the facility and for site lighting. In addition to room-by-room lighting controls, the exterior site lighting is coupled with motion sensors to allow the lights to be dimmed when not needed for safety and security. The school is being provided with an emergency generator. Because of the significant reduction in motor loads, a small generator will be able to handle the building’s normal heating loads during an outage. A stand-alone well pump is providing domestic water for the facility. Low-flow fixtures are used throughout to minimize well operation and domestic hot water production. This project was fully be designed in Revit. The interconnected fire protection systems for the school include detection, alarm, fire pump and suppression systems. 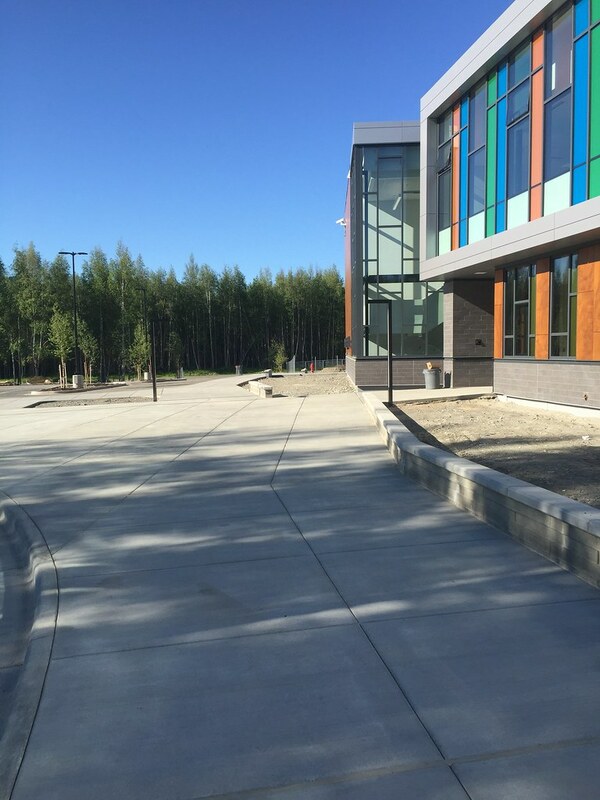 As a fully-sprinklered facility the manual and automatic detection system for the school was provided to cover all code required locations including fire doors, ventilation system as well as elevator lobbies. Integrations with HVAC, elevator controllers and power supplies were provided through intelligent interface modules. Fire alarms throughout the school included speaker/strobe with fire fighter inputs at remote annunciator locations.